It is already time to get together, and Matt has let us meet at UMD again. Thanks Matt. There will be social time starting around 6:00 with the meeting at 6:30 or so. I know many of you are on Spring trips, so happy travels and be safe. Our weather is forecasted to be in the 50's on Tuesday if you can believe it! Ross is planning to make the trip and will bring potting supplies for sale, etc. You can contact him at www.rosshella53@gmail.com so that he knows what to bring up. As you know, now many of our orchids are starting new root growth so now can be a good time to repot. Soon we will be busy with other chores and activities and finding time for repotting will be difficult! I have a few virus test kits that I thought I would bring to use Tuesday. So if you have a plant you would like to have tested let me know. We can do a short demo of the procedure. it is tough to find virus, but a relief not to! Bring plants for show, sale or raffle. And any interested friends too. General Directions: From I-35 take the 21st Ave East exit , go up 21st Ave East to Woodland Ave and take a right. After a short few blocks take a left on College Street (no stoplights here). After a few blocks take a right on University Drive to Parking lot A on the left. From the North on Arrowhead Road: Take a left at the Kenwood Road stoplight. Take a left at the College Street stoplight - continue several blocks Take a left at University Drive to Parking lot A on the left. Follow the sidewalk (green arrow on the attachment) between the Med School and the Alworth Bldg to the UMD Greenhouse. Its a short walk. 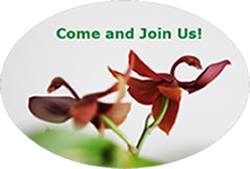 Welcome to Northland Orchid Society! Can you grow an orchid? It's easier than you think and it's fun and rewarding! Thanks for taking the time to visit the Northland Orchid Society (NOS) website. Whether a beginner or an expert orchid grower, you will find all the wonderful things our site has to offer, and you are welcome to join the society if you are not already involved. Like the passion you have for orchids, NOS membership is a truly rewarding experience. 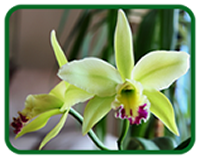 NOS provides a forum for us to meet and learn from each other on how to grow various kinds of orchids in you home. The annual orchid sale and various guest speaker and orchid show events allow us to share the appreciation and cultivation of orchids as a hobby. The NOS will participate in the DGFS Plant Sale at the Rose Garden Saturday, May 25, 2019. The NOS is planning our Annual Orchid Sale and Repotting at Engwalls Saturday, August 24, 2019.